Warmer days are just around the corner. Don’t get caught without a plan for that new Outdoor Living Space you always wanted. 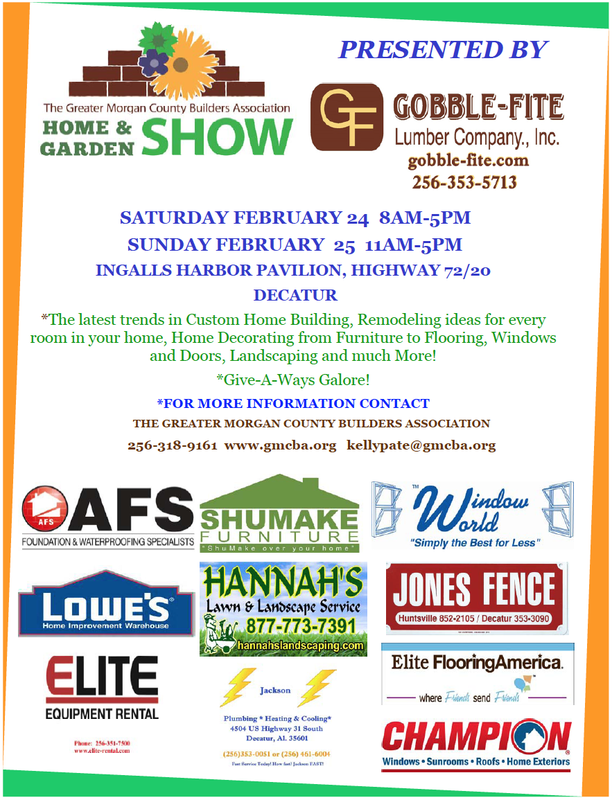 If you’re planning on remodeling or building a new home this year or just looking for ideas for that backyard getaway, you need to start your season off with a visit to the Morgan County Home & Garden Show at the Ingalls Harbor Pavilion in Decatur. See the latest trends in Custom Home Building and Remodeling. Be sure to visit the Hannah’s Lawn & Landscape Services Booth to discover how we can build, plant or maintain your dream landscape! Join us along with 60 other businesses to see home decorating ideas in lighting, furniture, and current home building trends and products. While you’re there be sure to signup for all the great give-a-ways galore! Spring has Sprung and we’ve got Plants Galore! Join Our 4th Annual Pumpkin Carving Contest!